Ethical chocolate makes a difference. Alter Eco makes several delicious chocolate products, including truffles, bars, and clusters with ingredients like coconut. They have a host of certifications, including non-GMO, Fair Trade, and Organic. They’re also a certified B Corporation, which means they meet a set of standards that includes social and environmental performance. As for the chocolate itself, products are made from coconut oil and without soy, palm kernel oil, and preservatives. Known for their bars and candy, Seattle-based Theo Chocolate has been selling great chocolate since 2006. They were actually the first Fair Trade and organic chocolate factory in the United States. They partner with organizations like the Eastern Congo Initiative, the Jane Goodall Institute, and more. Their chocolate includes bars with unique ingredients like turmeric and beer. For the holiday season, they’re selling a 5-pack of their seasonal bars, which includes the 70% dark chocolate Peppermint Stick, Nutcracker Brittle, Gingerbread Spice, Cranberry Orange, and Eggnog. A fan of hot chocolate? Buy your mixes from Equal Exchange, which sources all its cocoa from small farmer co-ops. They were one of the first companies to get on board with Fair Trade and began their story with small US coffee farmers. Another cool thing about the company: they have an Interfaith program that sells wholesale pricing to religious congregations. For cocoa, Equal Exchange sells a milk chocolate hot cocoa, a dark chocolate mix, and a spicy cocoa made with cinnamon and chili. They sell a variety of other foods, too, such as tea and coffee, which all sourced with the same standards. Founded in London, Green & Black’s first product was simple: an organic, 70% dark chocolate bar. Today, they sell chocolate in four categories: organic, white, dark, and milk. 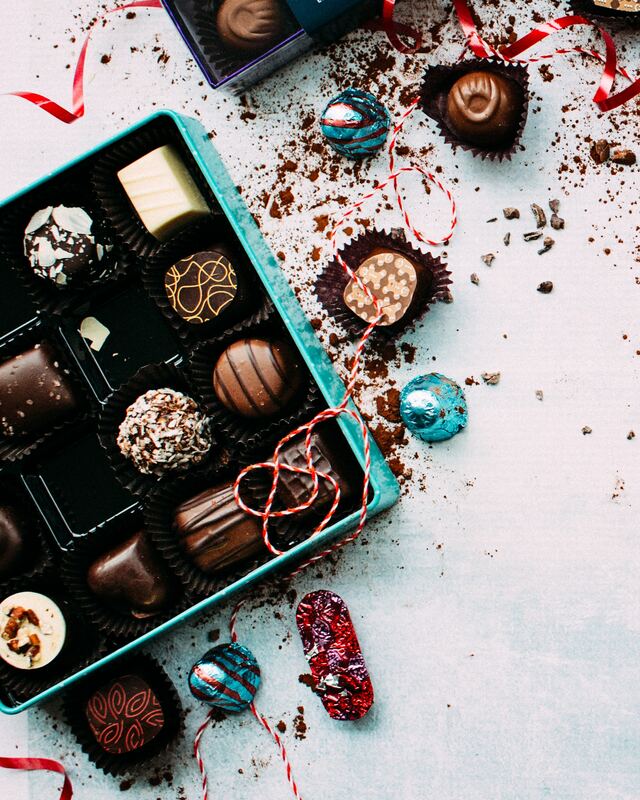 Their ingredients are Fair-Trade certified and their Pure Dark and Pure Milk Chocolates are sourced through Cocoa Life, a sustainability program. If you love interesting flavors in your chocolate, check out the one with ginger or the Maya Gold bar, which is flavored with orange, nutmeg, and other spices. Named for the Nahuatl word for chocolate, the story of Xocolatl began in 2004 when founders Elaine Read and Matt Weyandt (who are a couple) decided to travel the world together. After settling down for a while, they decided to moved to Costa Rica and met up local chocolate makers. After learning the trade, they set up a “micro-factory” in Atlanta, where they make chocolate with ingredients like espresso, jerk spices, nuts, and more. They also sell trail mix, cacao tea, drinking chocolates, and organic roasted cacao nibs. Most people are familiar with the three main types of chocolate: dark, milk, and white. Did you know there’s now a pink chocolate? Click here to learn what it is.